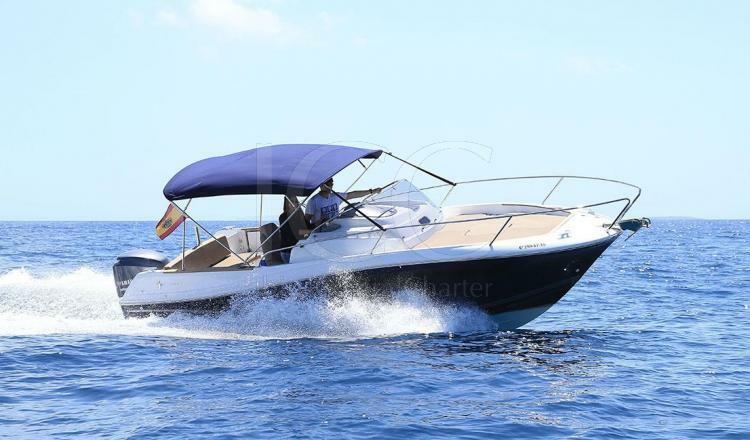 Cap Camarat 7.5 built in 2015 with capacity for up to 8 people is the perfect boat for a sea day in Ibiza or Formentera. 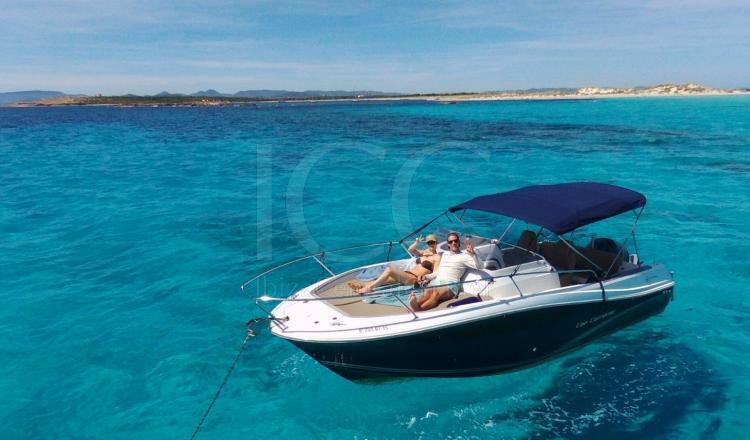 Cap Camarat 7.5 CC is a sporty, elegant and refined motorboat of almost 7.5 meters in length that invites you to spend a day enjoying the crystal clear waters of Ibiza or Formentera. 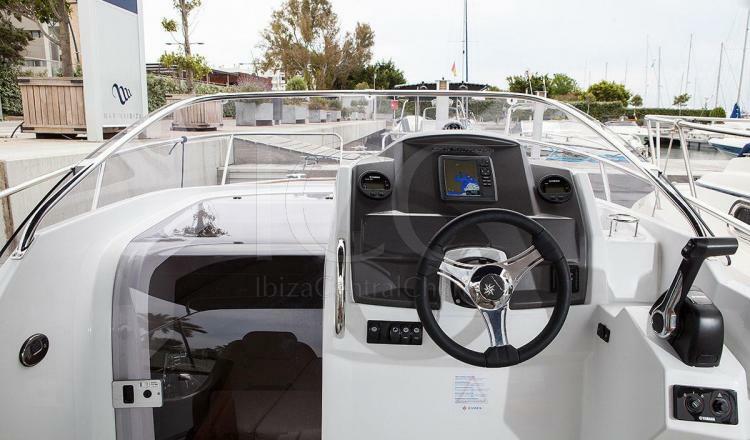 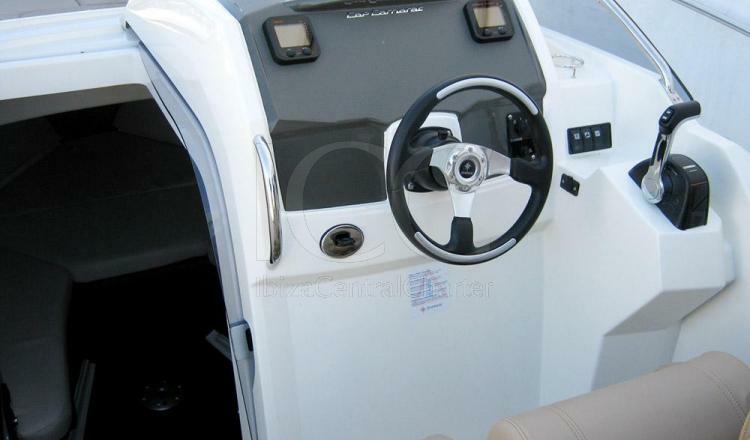 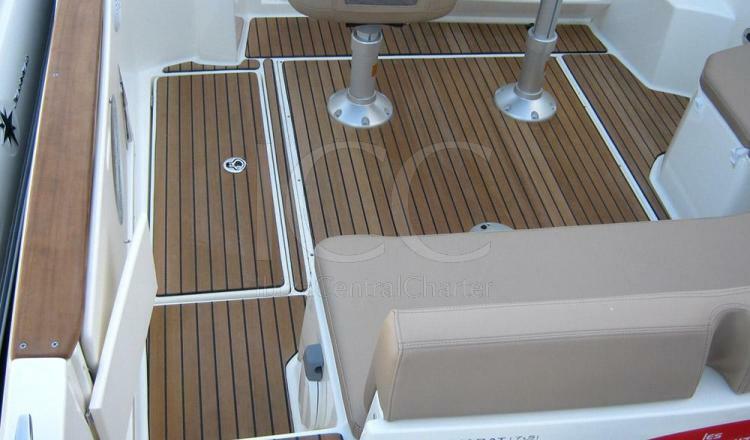 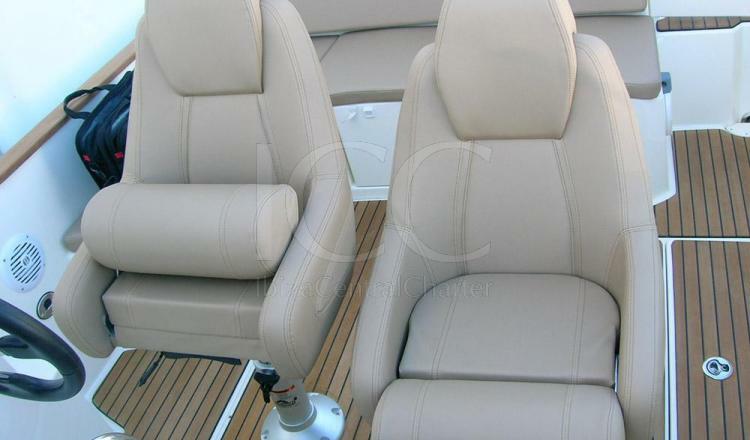 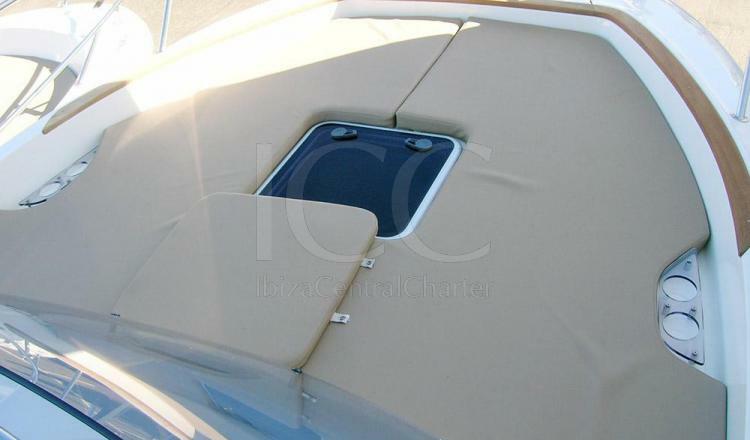 It is equipped with elements and details in its bathtub that is a spacious boat and safe and comfortable navigation. 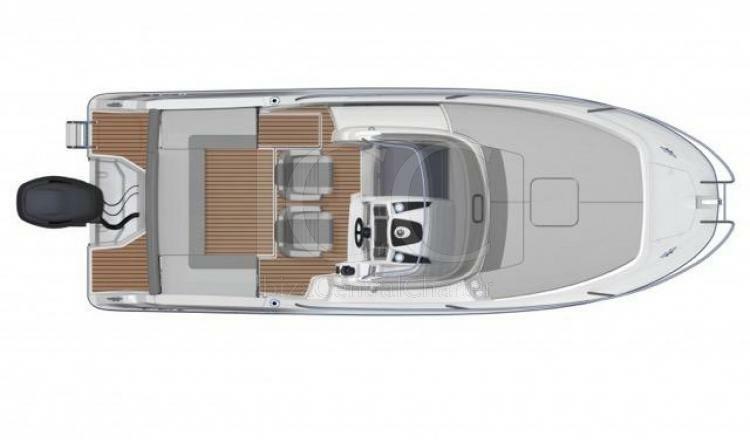 Feeling the sun's rays is a sensation that also we like everyone for that reason, this motorboat is equipped with a wonderful solarium in its bow. 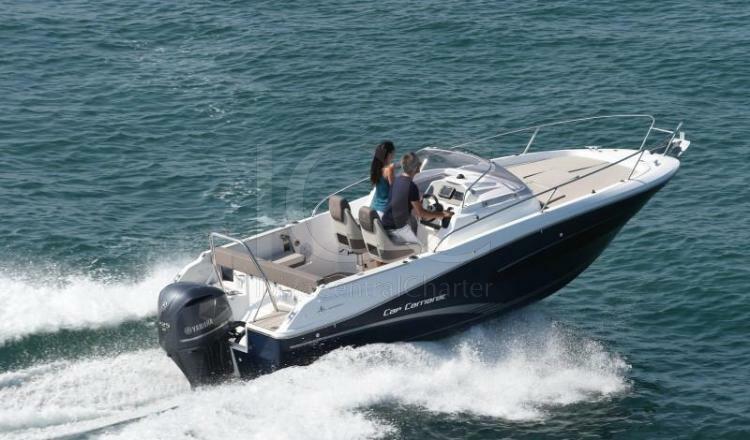 It has a central console with two comfortable seats, one for the captain and one for the passenger, with the possibility of adjustment in height and approach so they provide a perfect view of the horizon making it a pleasure to drive it. 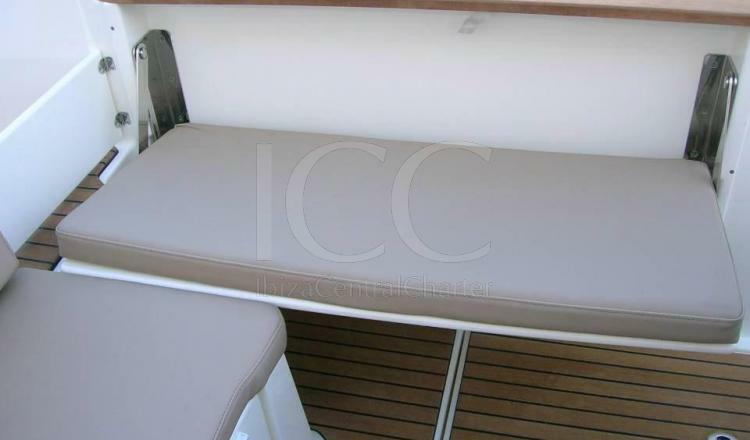 As for the aft area, it offers sofas with folding side benches that allow the ends to be left free in case you want more space. 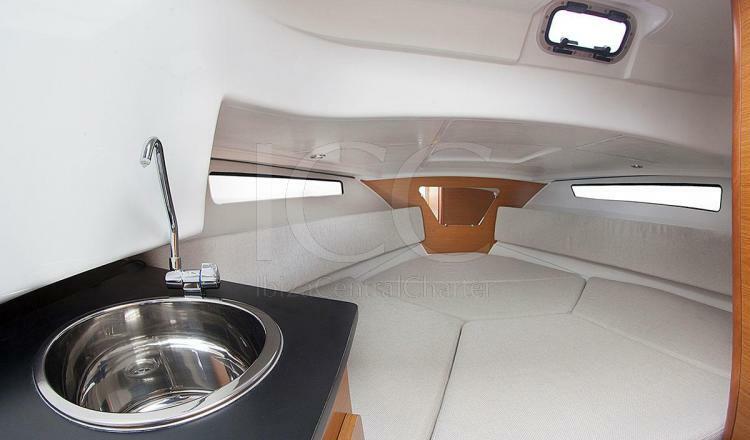 Comfort is a priority and is also present inside, where there is a double bed that can accommodate 2 people, a sink and a WC. 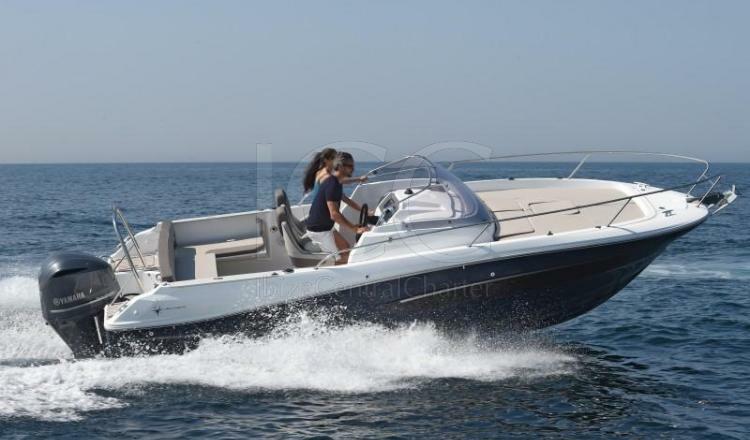 If you are looking for a day in the purest Mediterranean style, this is the perfect boat! 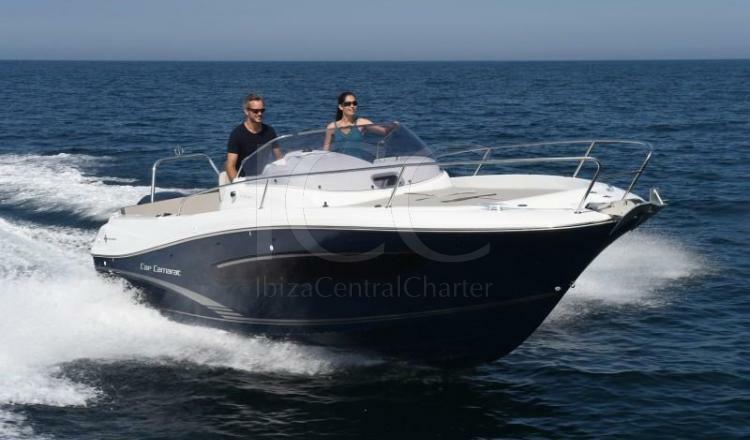 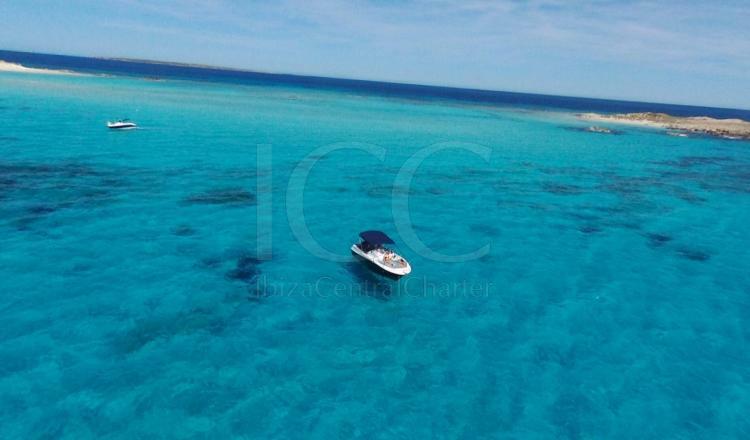 Ideal to enjoy an experience with a group of up to 8 people during the day of charter. 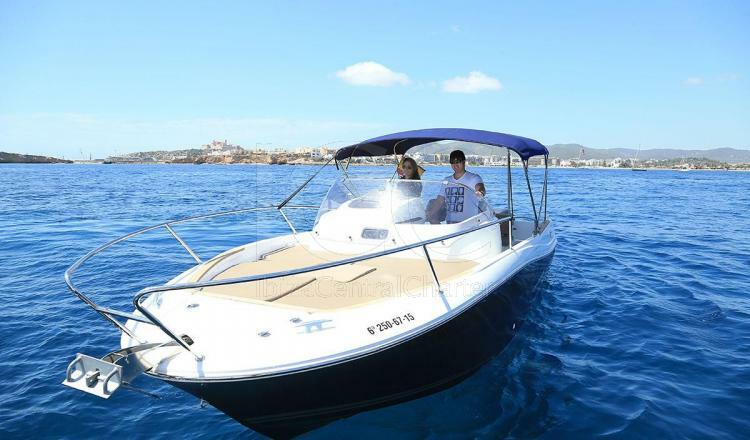 Please pay attention to the closing hours of the gas. 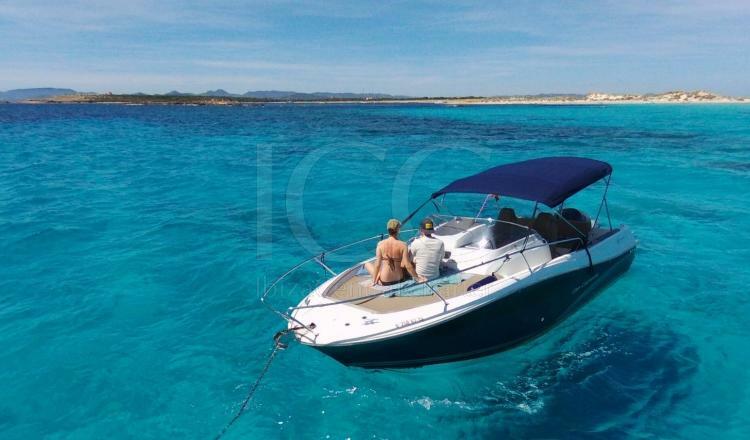 The boat will be delivered with a full tank and must be returned filled, otherwise there will be additional charges of € 80.